...... GPU acceleration and H.264 video support; and many features to improve RIA development productivity. To fully integrate all the .NET developer tools, Visual Studio 2008, Visual Studio 2010 and Visual Web Developer Express support a fully editable and interactive designer for Silverlight. Qweas is providing links to Microsoft Silverlight 5 2011 as a courtesy, and makes no representations regarding Microsoft Silverlight or any other applications or any information related thereto. Any questions, complaints or claims regarding this application Microsoft Silverlight 5 2011 must be directed to the appropriate software vendor. 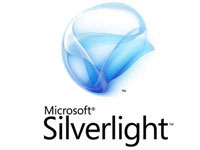 You may click the publisher link of Microsoft Silverlight on the top of this page to get more details about the vendor.